When it comes to sports betting via an online app on your smart phone or tablet, the 888Sports betting app is where it’s at! The company has put a ton of thought and hard work into making this application the best of its kind. Users are able to bet on any of their favorite sports, and they can branch out as well if they would like. Most of the users of this application like to use it for sports. The markets that are included with this application and with 888Sport in general are football, horse racing, cricket and rugby. But keep in mind that the app can work with other special events that you may be interested in For example, if you are willing to branch out slightly, you might be interested in betting on politics, the Oscars or other TV specials. You will always get live results and integrated statistics pages as well so that you can keep track of progress and of the money you’re making. 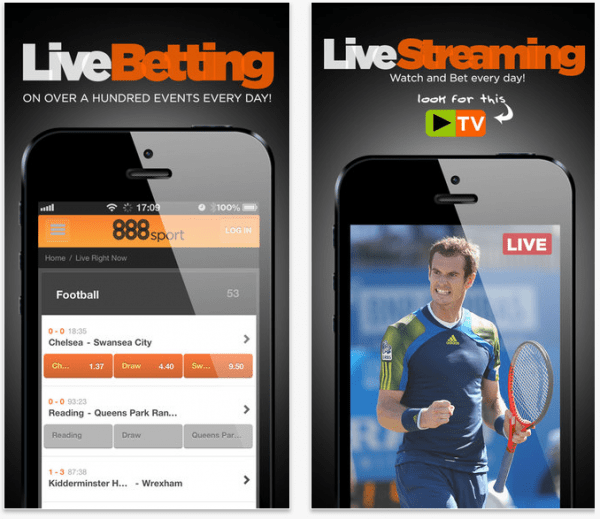 Betting through the 888sport app is the best way to go because it provides you with excellent features that you simply will not find anywhere else in any other app. In fact, the app has become so successful, that they have now launched the 2.0.4 version. It’s new and improved and so easy to use. You don’t even have to know that much about smart phones or tablets. Place all your bets from the comfort of your own home or wherever you are. You can even watch games, races and matches on the app! What’s New In the 2.0.4 Version of 888Sport? The biggest feature of the new version of this application is the homepage. Generally speaking, the homepage has become sleeker in design and easier to navigate as you start to place bets and check on those that you’ve already made. In addition, some bugs that were causing some small issues before have been completely fixed. 888Sport always listens to their customers. These are the main changes of the new 2.0.4 version, but not much has changed overall. You will still get live betting, great odds, the ability to cash in at any time and live streaming. The makers of this application are proud of their work because they know that not all sports betting apps are created equally. Unlike other betting websites and smart phone or tablet apps, this one comes complete with the ability to make over 21 different choices when withdrawing or depositing money. In addition, the app can be used in Cyprus, Poland, Bulgaria, Lithuania, Latvia, Malta, Slovenia, Hungary, Estonia, Romania, the UK, Greece, Portugal, Slovakia, Austria, Portugal, Czech Republic, Finland, Ireland and Luxembourg! That’s a lot of options for great sports betting!